Reuters TV offers video news from over 2,500 journalists found in 200 locations. The news comes straight from the source and made to fit your day. Choose your program length and watch news that’s ready when you are. News to Fit Your Lifestyle. 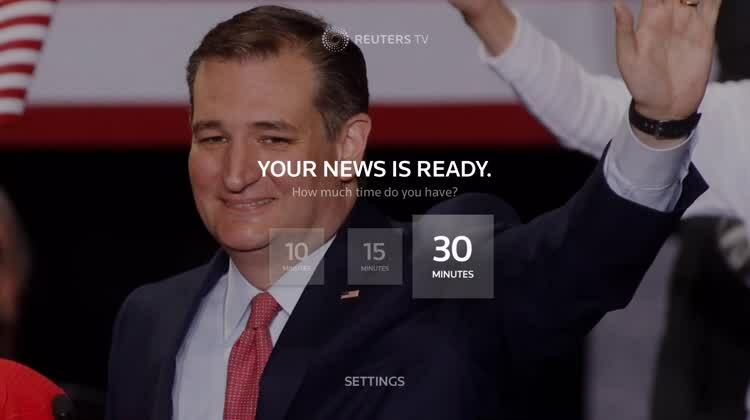 Reuters TV: Video News is an easily accessible news app on your Apple TV that fits your lifestyle by allowing you to select the amount of time you have to digest it. Do you have 10, 15 or even 30 minutes? Let the app know and it will curate just enough news to meet your needs. Immediately get headlines of top stories and then start watching. What's nice is that once you select the time it will automatically play the stories for you. You can also swipe up to reveal a playlist in case you want to skip over any stories or just watch the ones that matter to you first. The app has a great layout and if Reuters is a source you trust you'll love it. 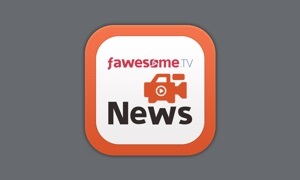 This is a great app for news junkies that enjoy learning more about the world through video. Because of its customization tools, you only see the type of news that interests you. Best of all, you decide when fresh news is delivered each day and for how long. The customization tools make this a great choice for those who want to get past the type of news they really don't want to know about. You can choose between 10, 15 or 30 minute news increments making it perfect for any lifestyle. It’s your news, ready when you are. With on-demand news programming and live, unbiased coverage of the world’s great events, Reuters TV is your daily personalized news show, straight from the source. Your go-to TV news app for the morning commute, Reuters TV is powered by more than 2,500 journalists in 200 locations. Simply choose your program length and watch news that’s ready when you are, even when offline. • News trends: Whether it’s the latest on North Korea or the current state of the U.S. markets, stay on top of the year’s big stories with our editorially curated Featured Programs. Access to Reuters TV is completely free with limited advertising. You can choose to subscribe for $1.99 per month to watch without ads. Upon subscribing, payment will be charged to your iTunes account. Your subscription will renew automatically each month and payment charged within 24 hours prior to the end of the current period. You can turn off auto-renewal by going to your iTunes Account Settings after purchase. No cancellation of your subscription is allowed during the active subscription period.